On December 22nd, I received some Christmas mail. It was a letter from a famous media lawyer, Prof. Dr. Jan Hegemann, recruited by Philipp Jungebluth to deal with my unwelcome reporting. This is the third time a German clinician set lawyers upon me (here and here are the previous two), and the second time it is about trachea transplants. This lawyer, whose offices are at Potsdamer Platz at the business heart of Berlin and who represented the biggest stars of German media landscape, is certainly not cheap. Jungebluth was the closest assistant of the scandal surgeon of Paolo Macchiarini, many of their trachea transplant patients have died. Through his lawyer, Jungebluth (who is an unfinished surgeon) denied any responsibility for any of these operations, insisting against a huge mountain of evidence that he was solely contributing academically, as a scientist. The lawyer also insists that Jungebluth’s medical dissertation, completed under Macchiarini’s supervision at the Medical University Hannover (MHH) in Germany, was equivalent to a PhD degree and that his employer Karolinska Institutet (KI) officially recognized this (for some reason, same lawyer apparently deems my own PhD degree as null and void). Interestingly, the lawyer did not deny my earlier report that his client’s dissertation is being investigated by the MHH right now, which may result in the revocation of Jungebluth’s medical doctorate and of all its alleged equivalences. The lawyer’s main assertion is that his client quit his job at the University Clinic Heidelberg utterly voluntarily, thus abandoning all his research and training as thorax surgeon, to become a junior doctor at some provincial communal hospital near Hannover. Yet the loss of his job in research was what Jungebluth actually profusely lamented just now in an interview with Swedish newspaper. Bottom line: Jungebluth’s lawyer instructs me to disregard all written evidence against his client and adhere instead to the version he dictates, without actually presenting any documentation or proof whatsoever. This is somewhat ironic, since Jungebluth was just now found guilty of research fraud by KI, prior to this scientific misconduct on his part was proven by the Swedish Central Ethics Review Board. Further investigations in Sweden are still ongoing. Below I present my translation of the lawyer’s letter in italics, interspersed with my own comments. Anyone who googles the name of our client therefore thinks he has lost his job in Heidelberg, which is untrue and grossly hurtful to his honour. “My research career is over. The last ten years of my working life is gone. It is nothing. They withdrew research funding, when I apply for new they say they are waiting for decisions in Sweden”. In fact, as an employer of a communal hospital he is not entitled to apply for any research funding, just like his other clinician colleagues working there. This Jungebluth could only do at KI and from his previous job, at the Heidelberg University Clinic. The Expressen article is titled: “He was kicked out after scandal”. This too is untrue. Our client has never said such a thing. Jungebluth in fact did insinuate in a 2012 interview with Deutschlandfunk that the technology was tested on mice and rats. However, what is even more worrisome, that he now obviously admits through his lawyer that he was always aware that the plastic trachea scaffold had never been tested on animals before he himself applied it to his patients like Andemariam Beyene (Jungebluth et al, Lancet 2011), who suffered and died because of the failed transplant. Dr. Jungebluth, not in research anymore, but still lecturing at conferences. Here in December 2016, at Kazan University in Russia where Macchiarini now works. “It is safe to assume Jungebluth et al tested their trachea transplants on human beings, before moving on to animals”. This also does not apply. The animals trials described in the study by Go et al were carried out before the operation in June 2008. Only the results were published afterwards. Next to our client, all other nine co-authors can confirm this. Noteworthy, the lawyer prefers not to quote how I came to this assumption (see my original article). It is because the Barcelona authorities, which according to the paper approved these animal experiments, refused to provide me with the documentation. Blindly trusting the paper’s co-authors on their word alone, when several of them were meanwhile found guilty of research misconduct or even research fraud (like Jungebluth himself) may be a questionable journalistic approach. Also, the donor trachea preparations began in November 2007, after the death of the donor. If one is to assume that an ethics approval which was based on previous success in animals was obtained before this, when exactly did those animal experiments take place? “I did not participate actively on the animal studies from the paper (Thoracic and Cardiovascular Surgery, Go et al.). […] I contributed modestly and primarily to the interpretation of in vitro data about the aspects of cartilage differentiation, and participated in the discussion, this is why I was probably included on the Go et al paper”. “the techniques hadn’t been used together before. I decided that with some educated guesses it could work, however, so I agreed”. Of course it is possible that Jungebluth and Macchiarini just played a prank on Hollander, by never telling him about all the many successful animal experiments they performed prior to 2008, not back then, not even now, after many years have passed. a)Referring to an investigation report of Karolinska University Hospital you claim that our client has treated patients there, although he did not possess the required the authorization as a doctor in Sweden. […]. It is true that our client was not admitted as a doctor in Sweden, at the Karolinska Institute he was employed as a scientist. However, it is not the case that our client also treated patients there. In particular, he made no independent decisions about medicines, blood sampling or other therapeutic measures – or performed those on the patient. For the transplant on the patient Beyene and for everyone else there was a clinic therapy plan approved by the clinically responsible Swedish doctors at the university hospital, the detailed specifications (time, type and dose) to blood sampling and medication. The role of our client was limited to the collecting the blood samples as set in the therapy plan and to remind about the administration of medicines (set in the therapy plan). Our client made no decisions which were diverging or independent from therapy plan. “He was directly involved in the care of the patient, he was contacted to advise on drug treatment, and he stood as an 2nd operator at two bronchoscopies. The German thoracic surgeon seems at times to have acted as a link between Macchiarini and patient. Reportedly from the Board, he is a licensed as physician since 2016-03-18 and has no special appointment working clinically in Sweden”. Maybe Jungebluth’s lawyer should sue the Hospital or the Kingdom of Sweden instead, and force them to retract their report? That would finally allow me to quote them correctly afterwards. Or maybe I was arbitrarily chosen as stand-in for the Karolinska University Hospital because this lawyer has no licence to practice law in Sweden, just as his client had no licence to practice medicine there? Which again didn’t stop Jungebluth, apparently, as evidenced by the documents I make available here. Furthermore, it would be helpful to know if this Macchiarini’s right hand had a licence to practice medicine in Italy, where he spent quite some time at the University Hospital Careggi assisting his operating surgeon master in purely academic manner. In fact, Jungebluth even had his research grant in Sweden revoked once it came out he practiced medicine there without a licence, as reported by Dagens Medicin. In this regard, his lawyer should definitely have a stern word with the responsible Swedish Society for Medical Research and put them in their place as well. Update 6.01.2017. In the official discharge letter of the patient Chris Lyles from 12.01.2012, transplanted with a plastic trachea by Macchiarini at KI in Sweden, Jungebluth is listed as one of surgeons. The full letter is available to me, quasi second-hand from Macchiarini himself, below a screenshot. Finally, I did specifically invite Jungebluth to answer to this evidence of practicing without licence, in my email from September 7th, co-addressed to him (his Heidelberg email address was still functional then). Back then, he chose to remain silent. b) You also criticize the poster “First in Man Synthetic Nanofiber Trachea” because it is represents the health of the patient Chris Lyles [who died very soon after the transplant, -LS] wrongly. For example, you refer to the “Notification of Research Misconduct” by Matthias Corbascio and Thomas Fux (described by you as” Kl whistleblowers “) from 30. August 2016. The poster bears the name of our client and Paolo Macchiarini’s. However, both are not responsible for the content. Jed Johnson, who is the first author on the poster, created and published the poster alone. Our client and Paolo Macchiarini neither had knowledge of it, nor have they in any way participated in it. In his email from 29 October 2012, Paolo Macchiarini rebuked Jed Johnson for the publishing and distanced himself expressly, also in the name of our client. Jed Johnson then assured in his email from 29 October 2012 to remove the poster immediately from the website of “Nanofiber Solutions”. However, Jed Johnson asked our client and Paolo Macchiarini in his email from the 5th of November 2012 to present the (already accepted) poster on the “World Stem Cell Summit”. This suggestion was rejected with harsh words by Paolo Macchiarini in his email to Jed Johnson from the same date, where he also expressly distanced himself from the poster. All this was reported by Paolo Macchiarini to the Karolinska Institutet in his statement of October 17, 2016 in the aforementioned complaint (2 3289/2016). All of the related documents are available to us. Well, I am most keen to see and publish those documents! Yet the lawyer did not attach them. Update 5.01.2017. I now got this email exchange, kind of second-hand from Paolo Macchiarini himself. Here it is, another file here, and the protest was not really about any alleged misrepresentation of clinical data, but solely about the use of “confidential” material used without permission. Even Macchiarini speaks in his note to KI solely “about confidentiality and basic principles of scientific collaboration and respect”. Amazing clinical feat of Dr. Jungebluth to have exactly figured out the real cause of death here, since no autopsy was performed on that patient, as evidenced by the Karolinska University hospital investigation. Actually, Jungebluth’s boss Macchiarini declared in an email that the patient Christopher Lyles died of a tracheo-oesophagal fistula, a rather different diagnosis, but absent an autopsy, just as out-of-the blue diagnosis. It is also worth noting that Jungebluth was very likely involved in the preparation of that transplant, as evidenced by the Johnson letter to KI. Finally, some claim to have spotted him in this film of Lyles’ operation. “In summary, when I finalized the poster for the Nanotechnology for Defense Conference in August 2012, I had no reason to doubt the accuracy of the information relating to the Lyles surgery that I received from Dr. Macchiarini and Dr. Jungebluth”. This article also contains numerous defamations and misconceptions and therefore violates the general personality rights of our client. This is untrue. Our client was only involved in 6 of 18 transplants which Paolo Macchiarini has carried out. These are significantly less than half! Furthermore, our client was participating in the operations only as a scientist, not as a clinician is involved and is therefore not responsible for the decision making or carrying out the operations. First of all, I would like to know what exactly the problem with this numbers is. Does Jungebluth now admit that all these 18 trachea transplant operation were disasters from which he wishes to distance himself? Or just the other 12, which he allegedly had nothing at all to do with? Or were those six trachea transplant operations, where Jungebluth admits to have participated hands-on, such disasters that he already has enough to answer for as it is? Let us try to assemble that list, since Jungebluth’s lawyer preferred to be vague. The veterinary lab-made failed cadaveric transplant for Claudia Castillo in Barcelona, evidenced by the publication Macchiarini et al, Lancet 2008. The lethal plastic trachea transplant on Andemariam Beyene at KI, evidenced by the publication Jungebluth et al, Lancet 2011. Quote: “PJ was responsible for the bioreactor-based cell seeding; assisted the surgery …“. The plastic trachea transplant on Chris Lyles, who died soon after. Jungebluth was recognized by those who watched this film of Lyles’ operation. His central role is also evidenced by this letter to KI from Jed Johnson, who assigned to Jungebluth responsibility for 3 more transplants with Nanofiber Solutions-made plastic tracheas. The plastic trachea transplant on Alexander Zozulya in Russia, evidenced by this press release of the trachea manufacturer Harvard Apparatus. Zozulya died under mysterious circumstances, allegedly in a bicycle accident. The plastic trachea transplant on the child patient Hannah Warren, transplanted in USA and dead soon after. Jungebluth’s role evidenced here even photographically. Yes, number seven, though Jungebluth only admits to 6 patients. Yesim Cetir received a plastic trachea from Macchiarini which destroyed her oesophagus and other organs, her death could only be avoided so far by excellent medical care in USA (no thanks to Macchiarini) and transplant of several organs. Jungebluth once travelled to University of Gothenburg to pick up a cadaveric trachea, which according to my sources was intended to replace the failed plastic transplant of this patient. Macchiarini however changed his mind, the organ replacement was sent back. Are there more? A German article from 2013 where Jungebluth was interviewed, speaks of “dozens of patients whom Jungebluth and Macchiarini were able to help” using the trachea transplant method first applied on Claudia Castillo. For many of these patients of Macchiarini’s we do not even know the names. So are we to assume Dr. Jungebluth was hiding every time in the hospital cellar (at Careggi, UCL, KI, Krasnodar) while his boss prepared yet another trachea transplant? Even if this was really the case, is discretely looking away an acceptable practice for a certified doctor and scientist, when patients are being abused under his very nose? “I am working since 10 years with Prof. Paolo Macchiarini and was involved in the engineering process of the trachea from the very beginning. During these years I performed every step that is required for tracheal tissue engineering. All analyses and surgical procedures in small and large animals, assisting in clinical transplantation cases and postoperative care of several of these patients were performed on my own [apparently, not only in Sweden, but also in Italy, where it is not clear if Jungebluth had a permit to practice medicine either, -LS]. I would like to take this opportunity to contribute towards the program of clinical tracheal tissue engineering by focusing on some very essential challenges that still remains. It will certainly be also very useful for many other ongoing studies in our group, such as cell therapy, esophageal, heart and lung engineering”. “The Hanoverian prize-winning student Jungebluth eagerly put his MD doctorate title after his name on the corresponding Lancet publication from 2008, though he actually received his degree at MHH only in 2010. This can actually be interpreted as title fraud”. This accusation is also incorrect. Our client has completed his medical studies in 2008. From this point onwards, one can call oneself as “MD”. [the lawyer then lists evidence from Cambridge Dictionary and Wikipedia, points out that another co-author, Tetsushiko Go from Japan, also used the MD title, and declares that Jungebluth saw his official MD title solely as abbreviation for “medical degree. – LS]. First of all, “MD” is generally assumed to be an international abbreviation for “Doctor of Medicine”, not “medical degree” or anything else. Otherwise, maybe Jungebluth could have also added a “Prof” to his name back then on his Lancet 2008 publication, and explain that he did not see this as an academic title of professor, but rather as some vague “professional” quality to his medical degree. Speaking of degree: one important point was not clarified by the lawyer. According to his CV, Jungebluth studied medicine at MHH until 2008 and took up a job as junior doctor at a thorax surgery clinic Braunschweig in February 2009. It might be useful therefore to determine when exactly he obtained his official doctor’s license, given that the Macchiarini et al Lancet publication in question was published on November 19th 2008. According to this newspaper article, the medicine student Jungebluth passed his final exam on November 18th, but his Lancet paper was published already the next day. This means, the young medicine student knew with 100% certainty he will pass his exam while the manuscript was accepted and typeset and no further changes to it were possible. Was the exam at MHH already decided in advance in Jungebluth’s favour, or how else are we to interpret the contents of his lawyer’s letter? Is this common practice at MHH? Finally, in Germany it is only legal to officially carry any academic degree when the diploma officially was awarded, and not a day before. We don’t know when Jungebluth officially received his diploma, and the lawyer does not tell this either. Normally, diplomas are awarded AFTER the exams are successfully passed, but with Jungebluth and MHH you never know. What we do know, that diploma certainly did not certify Jungebluth as “Doctor of Medicine”, given what the abbreviation “MD” internationally stands for. “The academic degree Doctor of Medicine (Dr. med.) MD is a postgraduate research degree in medicine . It is awarded if the graduate has, in addition, successfully completed a scientific study and dissertation”. Also a professor of medicine at MHH, the university where Jungebluth obtained his degree, confirmed this. So according to all above information, Jungebluth had no legal right to officially call himself “MD” until his doctorate defence in 2010. Update 9.01.2016. Now that I obtained from KI Jungebluth’s CV, the issue when he finished his studies should be settled now. Jungebluth himself declared that his university exam at MHH took place in December 2008, a month AFTER he assigned to himself the title of “MD” in his Lancet publication. In this regard, even by his and his lawyer’s own peculiar definition what “MD” stands for, he has likely committed title fraud. a) Also with regard to the use of the term “PhD” in the above mentioned document [that one, -LS] our client can be accused of title fraud [sic!- LS]. That was a request for the granting of research funds from the year 2012. Our client was already at the time postdoc at the Karolinska Institute, as is also evident from page 15 of the document. You are right to point out that a “Dr. med.” is basically not equivalent to a “PhD”. However, the Karolinska Institute has recognized the dissertation of our client as a “PhD” equivalent. Otherwise our client would not have the position as postdoc, which basically requires a “PhD”. All this is implied in the document available to you. First of all, the Swedish authorities have previously determined that a German Dr. med. is not at all comparable to a Swedish PhD, which usually takes 4 years to earn, but in fact is worth only half or even one-fourth of it. This view was also more recently supported by this opinion from Swedish University and Higher Education Council (UHR). Then, to be employed as postdoc, one does not have to have a PhD, as Jungebluth should know very well. Any kind of doctoral degree suffices, even a doctorate in dentistry which is so easy to obtain that even German clinicians, never mind true PhD graduates, ridicule it as a parody of a doctorate. In fact, many German medical doctors work as postdocs in Germany and abroad, but most of them would never dare to officially claim their Dr. med were equal to a PhD. That namely would be most probably title fraud. Also this recent lawyer-imposed assertion that KI officially recognized Jungebluth’s German Dr. med. as a “PhD” may be problematic in this context, unless a corresponding certificate can be produced, pronto. The only document I could dig up is a letter by Macchiarini’s loyal colleague at KI, Lars-Olaf Cardell, available as part of this peculiar email exchange here. But even Cardell, who saw Jungebluth as qualified to be employed as postdoc at KI, didn’t dare to claim his Dr. med. degree equalled a PhD, according to his other email communication. Cardell even tried to pass on the decision to his department prefect, Li Felländer-Tsai. Ironically, among myself and Jungebluth, it is I who legally has a PhD (Dr. rer. nat, precisely), not him. But his professorial lawyer somehow denied me the right to my academic degree by referring to me as mere Mr Leonid Schneider and to his client as Dr. Philipp Jungebluth. Jungebluth’s CV has some other inconsistencies. As published in the above-discussed grant application (which accuracy the lawyer never questions), the CV declares he worked full-time (100%) at KI since March 2011. Yet in media articles like this one or this one he appears in 2014 to simultaneously have been working at the Thorax Surgery Clinic Braunschweig in Germany (where he first started in February 2009). Don’t trust those sources? Even the Braunschweig clinic proudly announced that 2014 surgery society award of €5000 given to their doctor, in their own newspaper. At the same time Jungebluth drew an assistant professor salary at KI, apparently full-time. A previous stint in Barcelona between 2007 and 2008 (where Jungebluth helped transplant Claudia Castillo) is described in the CV (also see this version) as “research fellowship”. Yet in the annual report from 2008, and in the one from 2009, a certain “Philip Junglebuth” was listed as a mere “technician” (page 64 and 133, resp.). Usually, technicians never get any research funding, even such excellent ones like Mr. “Junglebluth”. Prior to this “fellowship”, Jungebluth declared in his CV (page 16) to have worked between 2001 and 2005 “100%” as intern at the Heidehaus Hospital in Hannover (where his master Macchiarini worked back then). When was the student Jungebluth actually doing his medicine studies at MHH, which officially went on from 2001 to 2008? When did this busy doctor-in-training ever find time to attend lectures and courses at MHH in the first place? Maybe in his sleep? Well, there is a gap year of 2006, so we must assume Jungebluth completed his MHH studies during that record time, where his humble colleagues needed at least 6 years. (B) Furthermore, you audaciously claim that our client carried out in Heidelberg secret and illegal animal experiments although the clinic already informed you that this was not the case. You already stated this in the heading as a fixed fact. As proof you refer to two abstracts from the years 2014 and 2015, in which our client and his the-boss, Hendrik Dienemann are affiliated with the location “Heidelberg”. The animal experiments described in the abstracts have been carried out by our client already in his time at the Karolinska Institute, together with the other co-authors; Hendrik Dienemann, however, was not involved. Only the abstracts to the – expressly previously produced- data were authored during the time of our client in Heidelberg. Therefore the abstracts contain the updated location “Heidelberg”. First of all, an affiliation in a scientific abstract must also mirror the place where the experiments were performed. This is a scientific publishing rule, regardless of any lawyer’s viewpoints. Jungebluth however solely listed his Heidelberg Thorax Clinic affiliation, which makes this the official place where the experiments on rats with 3D-printed plastic tracheas were performed. Moreover, by Jungebluth’s assertions the respected clinic head and Heidelberg University professor Dienemann now suddenly stands accused of severe publication ethics breach because of his allegedly undeserved authorship, free of any evidence. I made many attempts to get an explanation out of Dienemann about the experiments described in the abstract. The administrative head of the Thorax Clinic, Roland Fank, considered deploying their legal department to deal with me, as his misdirected email to Dienemann made clear. But ultimately, Dienemann remained silent about those trachea transplant experiments which he coauthored. Refusal/inability to disclose all requested raw data for the results presented in the article. Refusal/inability to disclose animal log records (försöksdjurjournaler). Misleadingly presented, interpreted and described the results. Severely deviated from the animals ethics permit. 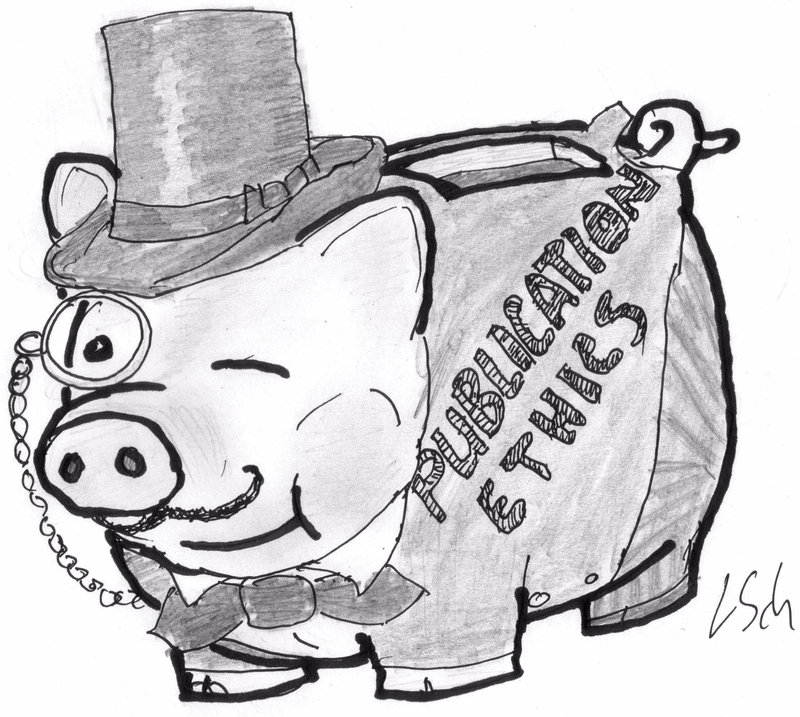 Deceiving the licensing authority; the regional animal ethics committee. The lawyer’s letter concludes with various threats and demands, those interested can read the full German-language version here. Please, keep doing your great job. Science and patients will thank you very much. I hope you have a wonderful 2017 full of great and helpful posts! So it is 7 years to obtain a first medical degree in Germany – would this be the same as a UK MBChB (only 5 years), so a first degree, after which one has to do two years of junior training (perhaps this is where the German degree equivalent is?). In any event, after this stage there are always several years of specialist training, for surgery 7 in the UK plus 2 (MD) or 3 (PhD – a real one) or is the system different? It would seem that Jungebluth was somewhat ‘green’, certainly between 2008-14 to be involved in such surgery? A simple rule is that when researchers reach for a lawyer, they truly have something despicable to hide. “Vagueness in a legal demand is the hallmark of frivolous and meritless legal thuggery” [(c) Popehat], and at least Prof. Dr. Hegeman’s letter is not vague. He is specific about his claims. The claims may be wrong or misdirected, and they reveal a lot of information that was previously concealed, but they avoid vagueness, so that’s progress! What kind of Hospital hires this Doctor. This Hospital should be avoided at all cost. I am confused by the idea that P. J. was “not responsible for the decision making or carrying out the operations.” Dr Schneider has provided ample evidence disproving this, in the above blog and many others. But even if this blog is erased, a lot of the evidence is just a simple web search away. It would be difficult for P.J. to sue every website hosting old PR material, press releases, academic articles, etc. Added this quote to the text above, namely what Dr. Jungebluth actually contributed to his 2011 paper in Lancet, describing the transplant on Andemariam Beyene: “PJ was responsible for the bioreactor-based cell seeding; assisted the surgery …”. I assume one does need a Swedish license to assist the surgery, but let us ask the German media lawyer to be sure. Or maybe Prof Macchiarini distanced himself from that paper as well already, like with the poster? Does P.J. stand for “Pathetic Joke”? Note that this text must be interpreted in the context of the law. It is thus not excluded that, within the context of the law in Germany about labour, the employer (UCH) and the employee (PJ) have made an arrangement with each other that PJ would voluntarilty stop with his job at UCH. The outcome is what is counting and that is the public part (and of course the main issue of the lawyer). For example Leiden University (The Netherlands) and René Diekstra have formally arranged with each other that René Diekstra would leave Leiden University (he was a full professor) utterly voluntarity. This does not imply that there were other options for René Diekstra. The details with quotes from former officials of Leiden University can be found in ‘Ontspoorde Wetenschap’, a book by science journalist Frank van Kolfschooten. (a): “However, it is not the case that our client also treated patients there.” So which kind of handlings / activities, and in the widest possible sense, fall within or outside the definition of ‘treating patients’ within the context of the Swedish law and within the context of being some sort of assistent (or whatever) of a Swedish doctor? (b): “In particular, he made no independent decisions about medicines, blood sampling or other therapeutic measures – or performed those on the patient.” The term ‘independent’ seems towards my opinion to imply that ‘dependent decisions’, are not excluded. So which dependent decisions were taken by PJ? None? The term ‘in particular’ seems towards my opinion to imply that it is not excluded that other (in)dependent decisions (on the patients) were taken by PJ. Which ones? (c): “Our client made no decisions which were diverging or independent from therapy plan.” This seems towards my opinion to imply that PJ was able to make decisions which were in line with the therapy plan. Any idea which ones? I don’t have a medical background and I don’t live in Sweden. I am therefore unable to provide you with detailed answers on the above questions. [. .. ] Blindly trusting the paper’s co-authors on their word alone, when several of them were meanwhile found guilty of research misconduct or even research fraud (like Jungebluth himself) may be a questionable journalistic approach. [. . .] Jungebluth’s lawyer preferred to be vague. Check law of Germany, but a guilty defamer or an innocent purported defamer who receives a vague letter by a lawyer imputing defamation in law of England and Wales can be awarded costs because of being deprived knowledge of what exactly he is being accused of. 5.The plastic trachea transplant on Alexander Zozulya in Russia, evidenced by this press release of the trachea manufacturer Harvard Apparatus. Zozulya died under mysterious circumstances, allegedly in a bicycle accident.
) of a report of a newspaper article about an illegal killing by a policeman of the putative Republic of Ireland and an allegation that this killed victim was supposedly further victimized via defamation on behalf of this policeman. Wissenschaftler zeigen Evidenzen angstlos. Schwindler – z. B. Alchemisten und Quacksalber – verbergen Tatbestände.